Ideal for schools and parks and for retrofitting rubber surfaces & recreation areas. 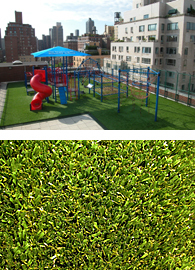 Playground Grass is revolutionizing the way playgrounds are designed and surfaced. The Playground Grass system is safety rated to 12 feet (ASTM 1292) and is ADA accessible (ASTM 1951). It's lush, beautiful green grass that's safe for kids to play on. Ideal for backyards, kennels, and dog parks. Dogs are tough on grass. Whether digging holes or chasing a ball, grass doesn't stand much of a chance. 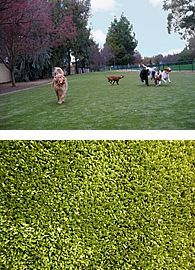 K9 Grass is designed to give your dogs a safe, clean place to play. Ideal for private schools, colleges and community fields. 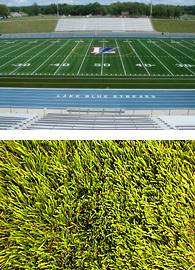 Sports Grass is a one-of-a-kind sports turf that provides the ultimate in performance and quality. Allow your team to play at a higher level. Ideal for apartment complexes, high traffic areas and around pools. ForeverLawn for landscaping offers unmatched realism, beauty and functionality in its waterless, low-maintenance landscape solutions. 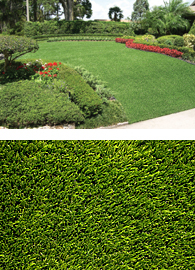 Designed for Fun is a local, authorized distributor for all of the quality Forever Lawn products. We can assist you from selection through design and installation. For more information please Contact Us today.